Master the force field with Spinos magnetospheres! Spin the sphere to play. 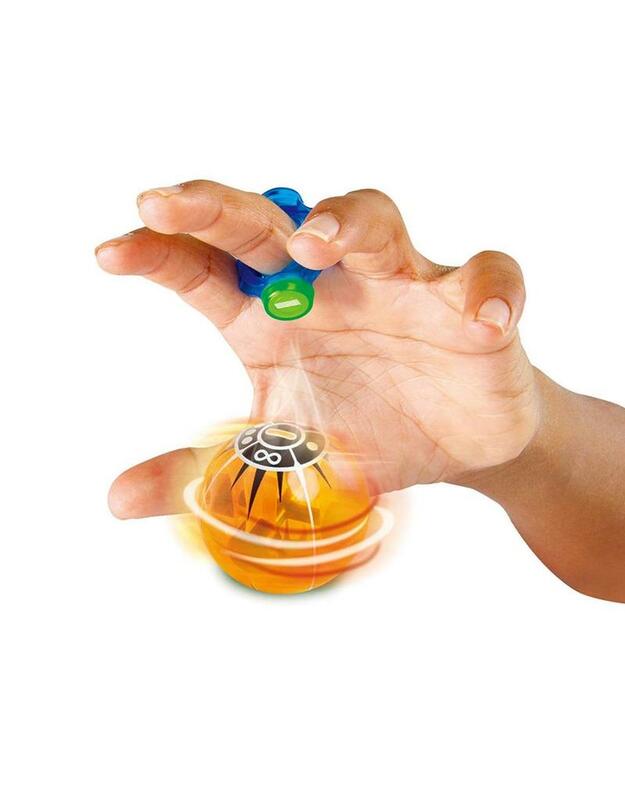 Connect your power ring with the magnetic force field around the Spinos to magically control the spinning sphere without touching it. You can actually feel the power between the ball and the ring. There are tons of games and tricks you can play and learn from battling to maze challenges. There are different sets and you can collect and connect them all. Everything works together so the more you get the bigger, more challenging, and more fun your trax system becomes. Powered by magnets. No batteries required. Ages 6+.